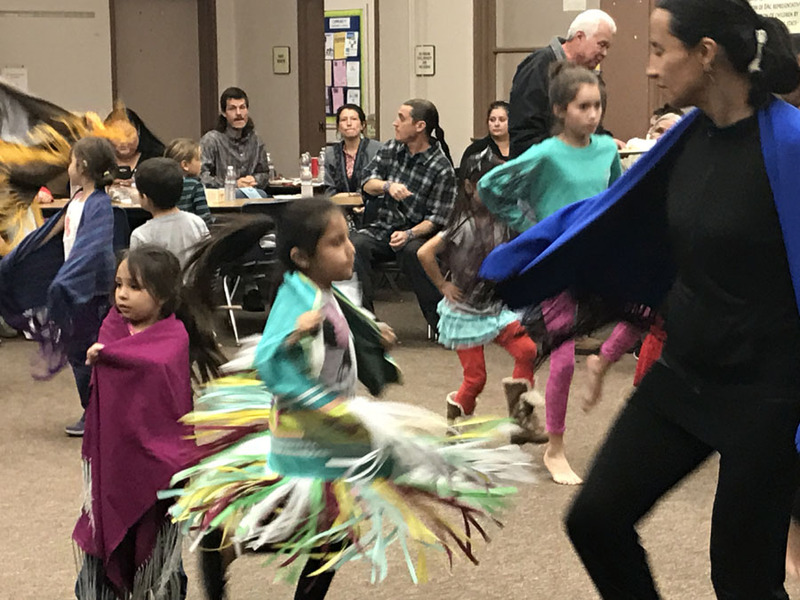 Perhaps the blessings of the rains and days that let us glimpse the coming of spring made this 2/22/17 Community Night a gathering that continues to demonstrate the surge of new families and children with the interest and commitment to attend the Soaring Eagle gatherings. 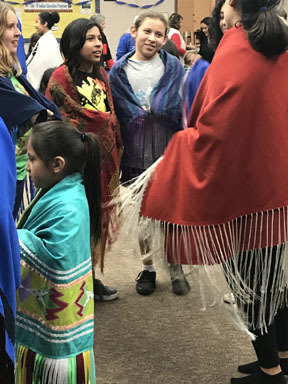 The Soaring Eagle community and SDAIHC shared a great time together in Tribal fashion. 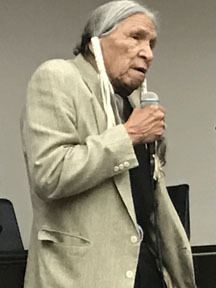 The 2017 February session presented a special gathering, Gourd Dancers from Los Angeles which included Mr. Saginaw Grant, Sac & Fox nation, a veteran, U.S. Marine, actor and advocate/activist, provided his solemn advice in cultural etiquette, awareness, diplomacy of purpose and retention of culture through education. He provided the blessing for the dinner, an honor of time invested in our community activities at the Ballard Center in Old Town. Our community greatly acknowledges our veterans, gourd dancers and visitors, it is always special to be family and project solidarity, wisdom and knowledge, pay tribute to our Creator for his blessings. 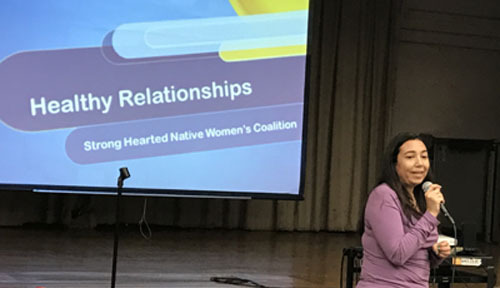 The San Diego American Indian Clinic sponsored the Community Night session, a monthly session targeting our American Indian students for structured activities, resources and academic counseling. A beneficial program for personal development and self-empowerment for American Indian youth. 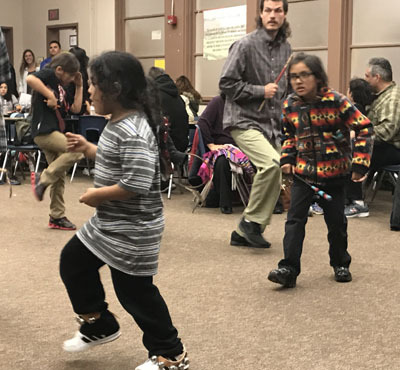 The San Diego American Indian Clinic in partnership with The Title VI Indian Education and The Soaring Eagles Dance Troupe addresses unity, networking, cultural diversity and academic progress to our urban American Indians. The outreach and strategic intervention of innovative goals and objectives for academic achievements is central and core of our programs. We acknowledge the representatives of programs, mentors, cultural leadership, veterans and spiritual advisors for their support. Our continued energies punctuated by devotion and dedications is the vehicle for progress and process. This month again is a good time to review dance regalia and adjust for growth or wear. However to avoid past disappointments, caution was expressed when ordering outfits that required a large up-front deposit and a murky delivery time. 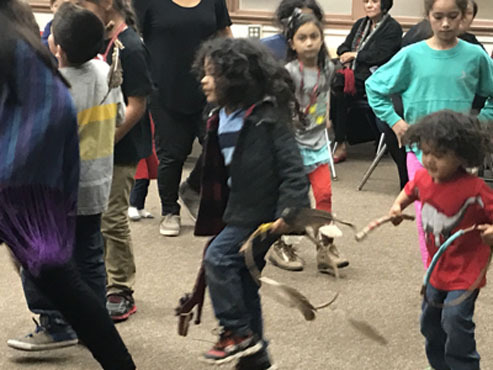 By example these pictures will demonstrate views of our elders, parents and new and young Soaring Eagle dancers from the 2/22/17 Soaring Eagle Dance workshop at the SDUSD Ballard center. 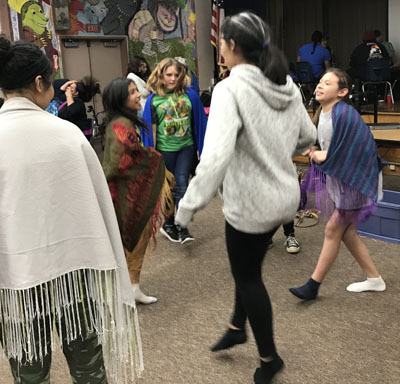 It felt good to see our older dancers return and help out in teaching our younger dancers the basic steps and how to be part of the dance circle. The Ballard Center location is in Old Town: San Diego Unified School District, SDUSD at Ballard Parent Center 2375 Congress St. San Diego, CA 92110. We continue to appreciate and thank the drum for the songs and all who contributed to this healthy pot luck winter feast. Two nice blankets went home and raised money for our meal at the next gathering. The Soaring Eagles also will appreciate any voluntary donations that will benefit the community potluck feed. Special Thanks to John Hood for his Review of the evening and perspective and continued program support. Aho!